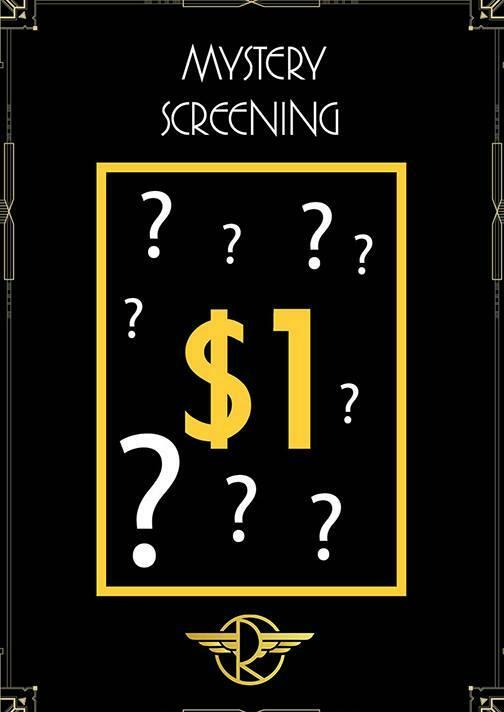 Roll up, roll up- it's $1 Mystery Screening time! See a brand spanking new film before anybody else, for ONLY $1! The title is a closely guarded secret until you're in cinema on the night. Tickets only $1... duh! On sale now - available from The Roxy Box Office ONLY. *Available only for Roxy Film Club Members and limited to one ticket per member. It's free to sign up, just come in-store to chat to our friendly box office team! Don't miss out - make sure to come in advance to ensure your ticket to this advance mystery screening.